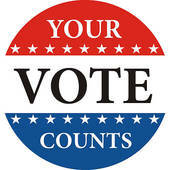 Please be reminded that today is a primary Election Day. Polls are open until 9:00 p.m.
• How to register to vote? • What candidates are on your ballot? • Your candidate’s position on issues?